It wasn't the cover that attracted me to this game. Wow, I guess it's been a while since I've made a post at this blog. Reading Brendan's post on the forgotten RPGs, I thought I'd make some quick notes about a few of my favorite games that aren't D&D. 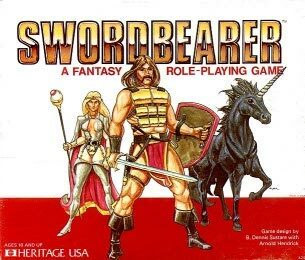 First up, one of my favorite games that I've never played, Swordbearer. This was a fun little thing published by Heritage USA (normally a miniatures company) in odd books 7" high by 8.25" wide. These were designed to fit the box - a box of the same design that Heritage USA's miniatures sets came in! Later, it was reprinted by FGU in a book of more normal dimensions. It's still available from the latter publisher, too, as both a PDF and print book. FGU also made a supplement (same link), which was a campaign setting for the game. Most of the rules are standard, old-school design. There aren't any character classes, per se, but players choose specialization in skill categories (either two different categories or only one but gain bonus skills) and a previous occupation. Wealth is measured not in accounting, but by a wealth rating (a mechanic that has been copied by many games since then, from The Burning Wheel and Reign to Epiphany). The magic system, though, was something special. Spells (most spells, anyway; there is a second magic system based around spirits, which I will get to) are divided among 8 elements, which is a pretty standard idea, but the neat part is how they are powered. A spell-user will collect "nodes" of various sizes (usually power 1 to 3, but nodes of up to 9 power exist). The nodes can be "aligned" to a particular spell or left unaligned. Alignment can be done to any spell the spell-user knows, or he can allow the node to align randomly. Spells are rated in the power of node that they require, and a large enough node can align multiple spells up to its total power. The success of alignment is based, largely, on the number of unaligned nodes that the spell-user commands. Now comes the fun part. The success chance of using the spell without destroying the node and the speed of casting is based on chaining nodes through a sequence of dominance. Don't you love that the technical language of the game sounds like the sort of thing that a spell-user might say? "Dominance" refers to the fact that each element dominates one element, and is dominated by another one. Thus, Wood dominates Wind, and is dominated by Water. This is similar to the elemental system of real-world Chinese Taoist alchemy. An oddity of the elemental system of Swordbearer is that Light and Darkness are different elements, but are treated as the same element on the sequence of dominance. The longer the dominance chain, the faster the spell, and the less likely that the node will exhaust itself and vanish. There's a method of determining how often a spell-user finds a node when searching, a percent chance of finding one by accident, plus the Referee is encouraged to place particular nodes where they seem appropriate. As I said above, there is also a second magic system, Spirit Magic. This also is based around nodes, but Spirit nodes are found in living creatures. There are two ways to use these: either kill the creature and take its Spirit nodes, or align one's own living Spirit nodes. There are four types, based on the four Humors of early medical theory (Vitriolic, Phlegmatic, Choleric, and Melancholy). Each Humor includes six spells, such as Charm, Familiar, Resurrection, or the various Undead spells (including Lich). Spirit magic doesn't have the advantages of the sequence of dominance, and is more powerful but more risky. Since it is rare for an animal to have Spirit nodes at all (for instance, a horse has only 3% chance of having one, and even a winged horse has only a 10% chance), while sapient beings always have at least one (and usually 3), Spirit magicians are usually seen as unwholesome at best. The combat system is based on the pace of 2 1/2 feet and the instant of 4 seconds. It's a fairly tactical subsystem that is designed to be easily streamlined to description. Kinda like GURPS with less available complexity. Overland travel is based on the league of 15,000 feet (6000 paces). There's a fairly large table that compares terrain roughness (or altitude) and vegetation cover, plus available roads, and gives the time in hours required to cross each league (rounded to the nearest quarter-hour). For instance, crossing a league of Lightly Rolling Brushland on a Trail takes 1 3/4 hours on foot, or 1 1/4 hours on a horse. There's also a listing of visibility distances for each terrain category (Lightly Rolling Brushland has a listed Visibility of 4 leagues), though this is modified for intervening terrain and altitude so that someone looking over lower terrain might see 12 or even 20 leagues in good weather. There are modifications made for traveling parties that are ill, wounded, exhausted, traveling in bad weather, and so forth. It sounds complex as I write it out, but the actual system seems like it would actually be pretty easy to use in play, so long as the travel table were available and the Referee had maps that included the necessary information - and of course it is not intended as a straitjacket anyway, but rather as a resource that is available to the Referee to gain verisimilitude. There are a lot of nonhuman races in the game, from standard ones like elves, dwarves, and halflings to unusual choices like harpies, centaurs, and even dragons and giants! In addition, there are races unique to this game, such as bunrabs (like humanoid rabbits - perhaps not surprising since B. Dennis Sustare was also the author of Bunnies & Burrows) or moonspiders (intelligent giant spiders). I'd probably cut the available races down a bit, getting rid of some and emphasizing others (I really like bunrabs, and would like to use them to completely replace halflings - which is something that I will probably do in some of my D&D games, too! I mean, rabbits live in cozy subterranean warrens, they spend their lives thinking mostly about food and mating, and they are stealthy and elusive, but tough when backed into a corner - sounds like halflings to me). Anyway, Swordbearer is a really neat game. I'd love to play. Who knows, maybe I'll run it one of these days. That sounds like a very interesting magic system. Perhaps fun to use as the basis of a puzzle even if not playing the game as a whole. Just to help the reader situate this game historically, according to Wikipedia "it was originally published by Heritage Games in 1982, and then republished by Fantasy Games Unlimited in 1985." Something else to add to my "maybe check out sometime" list. Thanks for noting the exact dates there. I didn't actually know when FGU republished it, so that's good to know. Using the elemental sequence of dominance might, indeed, make for an interesting puzzle. My FLGS had a copy in a few months ago. We were planning to play an Aftermath! campaign, so the owner got a shipment of various games from them. Yep. You may notice that I linked to that in the overview. 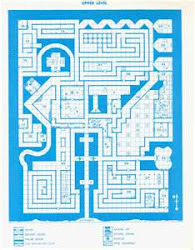 I still don't have the FGU edition myself (though I do have Dwarven Halls, which doesn't seem to have any contradictions with the earlier edition), so I don't know if there are any differences between the rules in it and the original Heritage USA edition's rules. Having owned both editions (Heritage ed. a while back, FGU ed. presently) I don't know that there's any difference in the rules themselves, textually; however, the FGU edition is obviously a print from the PDF,and not a particularly good one either. It's readable, and it still has that great Denis Loubet art, but quite frankly looks like a cheap photocopy. That's good to know, and too bad. Still, it's good that the game is at least available in some form for new players. 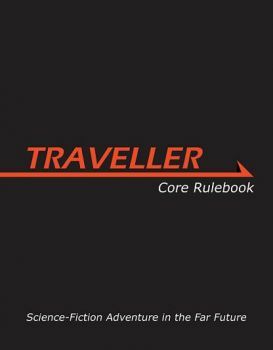 It's been some time since this post but you may be interested that (a) there is a mailing list available for this game and (b) a new edition in the works. Thank you for posting about that here. I am already a member of the Yahoo! Groups mailing list, and have been watching the initial posts regarding the revision with considerable interest. The Google+ community is new to me, and I will join it right away.